The boat dock is 2/10ths of a mile down the road from the resort. 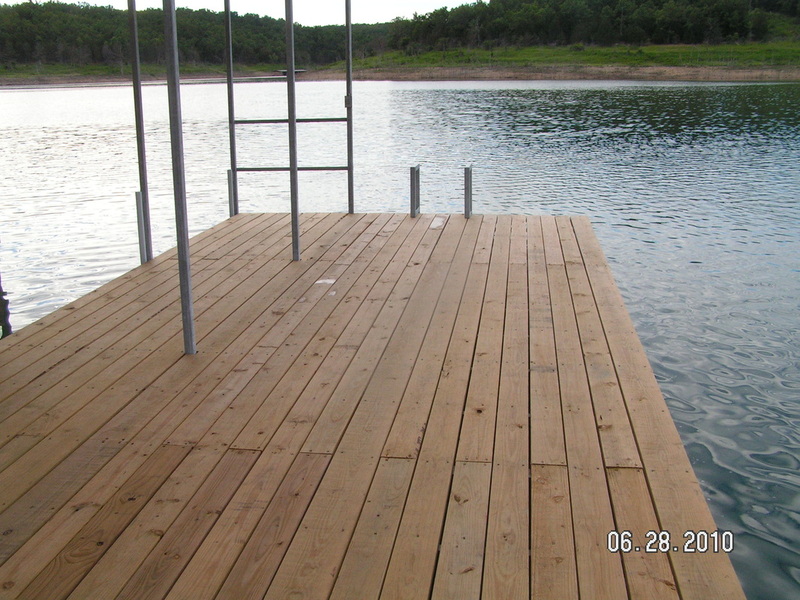 A paved road runs to the water's edge, ending at a hard surfaced boat ramp next to our dock. The Red Arrow dock location is a major convenience for both serious tournament fishermen and tourists. 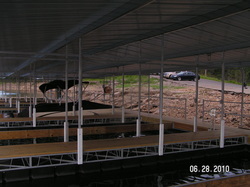 Both enjoy the clean, asphalt parking area and public boat launch ramp. Those who wish to pull their boat out of the water each day may do so quickly and easily. 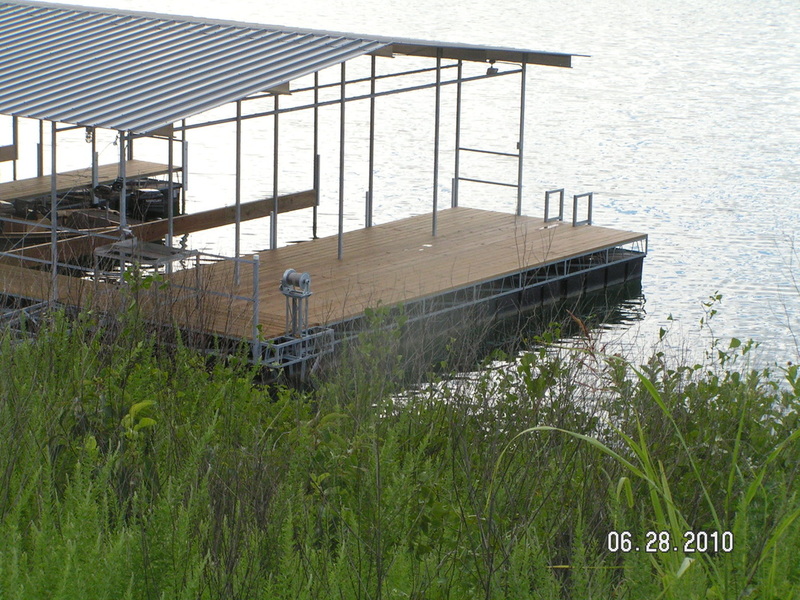 The dock floats with excellent prop clearance in any water level. 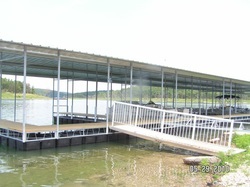 If you prefer to trailer your boat each day, the resort is "tournament ready" meaning that each cabin has outside electrical outlets available which fishermen use for charging trolling motor batteries. Red Arrow's guests enjoy fishing from the deck located at the end of the boat dock. At night they sit on the benches and fish under lights. Approximately 95 percent of our 3.5 acres is mowed lawn. Massive sycamores, hickory, oak, walnut, and mimosa trees shade all of the cabins and yards. A private nature trail leads down from the resort to the lake. Our in-ground swimming pool is 3 feet deep at the shallow end sloping to 6 feet deep at the other end. Steps at the shallow end allow easy access for seniors and small children. The Red Arrow pool enjoys a reputation with health officials as being one of the best kept and cleanest pools in the county! Our pool is reserved for Red Arrow guests only. 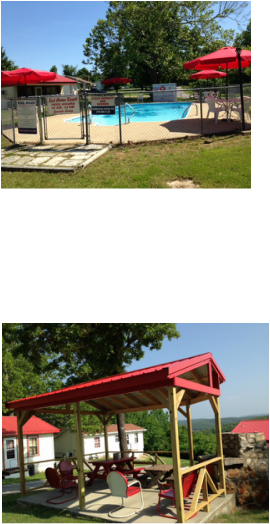 Our smaller pavilion has an outdoor grill and plenty of room for cookouts and socializing. 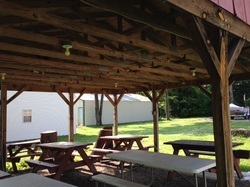 Our larger pavilion is lighted and is a popular spot for group cookouts, card games, and evening socializing. A coin operated washer and dryer is available to our guests.